Below are Save the Planet's candidates who ran in the 2013 federal election. 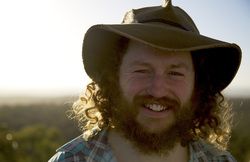 25 year environmental campaigner, educator and public speaker, Co-founder of Beyond Zero Emissions, Last Chance Tours and Otway Ranges Environment Network. Adrian founded Save the Planet after he saw a need for a party to focus on Climate Change and call for solutions that actually have a chance of saving us. See Adrian's Bio and political website. CEO & ideas man at the Good Brew Company. Deano, a man of deep environmental conviction, is known for cycling his solar brewed crafty beverages around inner Melbourne. Deano consulted to his fathers brewery to improve its environmental efficiency and achieved a 77% reduction in the breweries' emission profile. Deano is not only passionate about being part of a humanity that avoids catastrophic climate change but also passionate about human rights, small business and empowerment. All of these passions manifest very positive outcomes with his social enterprise pursuits. Co-author of Climate Code Red and Manager of RSTI (Research and Strategy for Transition Initiation). See Philip's Bio. Philip is also the Save the Planet team leader for the development of a Community Mobilisation Plan for the Emergency Restoration of a Safe Climate for the Darebin Municipality (in Melbourne). Philip has lived in Fairfield in the Batman electorate for 18 years. 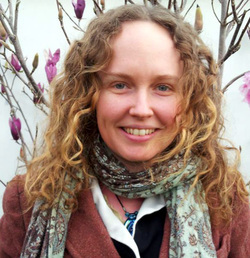 Tiffany Harrison is a consulting ecologist who has worked internationally and locally with environmental NGOs, in various roles including policy and planning, research and campaign work. She is passionate about progressive and pragmatic environmental and social change, and the building of connected and empowered communities. She stands with integrity and honesty, and is running with Save the Planet this election in order to campaign for policies which will avert a climate emergency and allow for a healthy future. Frazer is a professional happiness coach. 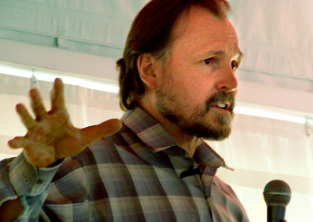 He has taught laughter, relaxation, meditation, compassion and habit change for more than half his life. He has used these skills to help the lives of literally thousands of people over that time. Frazer believes as individuals are empowered to be their best, we can dream of and create a better world, using our inner resources to direct our lives into truly productive lives for the planet. 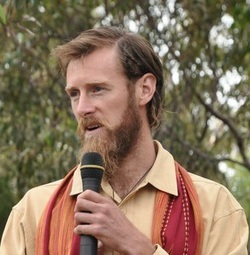 Frazer holds a bachelor of cognitive science from Flinders University. He has been involved with campaigns that range from youth leadership forums, stopping the spread of the nuclear industry, environmental conservation, human and other animal rights. Frazer also has keen interest in ethical consumption and coaches others in those changes, such as eating a healthy plant based diet, using low food miles, and low toxic food. 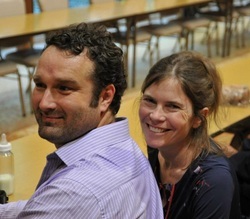 Frazer has been an educator and tutor and has a passion for knowledge. He has taught in the sciences, mathematics, biology and computing and has a dedication to logic and scepticism. When Frazer discovered Save the Planet he was amazed that somebody was working at not only stopping climate change but also creating jobs, lifestyle and a better economy. Frazer hopes to save the planet by empowering people to embrace positive change and unite the world through developing a shared vision of an amazing future which is possible. I am a person who loves his community, and wants to share the challenges and successes of this community to help build resilience in the face of climate change across Australia. from Heathcote in the east to Tarnagulla in the west - this IS Central Victoria. this country of elders past and present. Bendigo Student Association. I work on community food projects across Bendigo, but particularly in Quarry Hill and Flora Hill. I am passionate about bringing climate change away from being a form of political football between those who have a vested interest in maintaining the status quo, and making it the issue that it actually is. In our community and as a country, we all need to work together on climate change. I am passionate about the amazing community here in Central Victoria and their passion and drive fuels me. I love this country with deepest conviction and I believe this country is something worth taking a stand for. In standing I am encouraging truth, transparency, responsibility, compassion, moral and ethical leadership, and building a grassroots democratic process.